The Newcomb Art Museum presents original exhibitions that explore socially engaged art, civic dialogue, and community transformation. As an entity of an academic institution, the museum presents exhibitions that utilize the critical frameworks of diverse disciplines in conceptualizing and interpreting art and design. 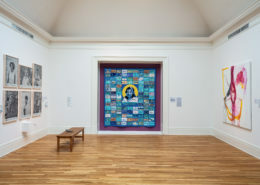 The museum also pays tribute to the creative legacy of Newcomb College through shows that recognize the contributions of women in the fields of art and design. Depending upon space requirements for our other exhibitions, Newcomb arts and crafts are on not always on display. Visitors should call in advance.